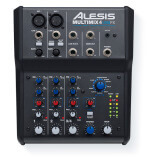 The MultiMix 4 USB FX mixer has four input channels, all of which can accept a 1/4″ line input. 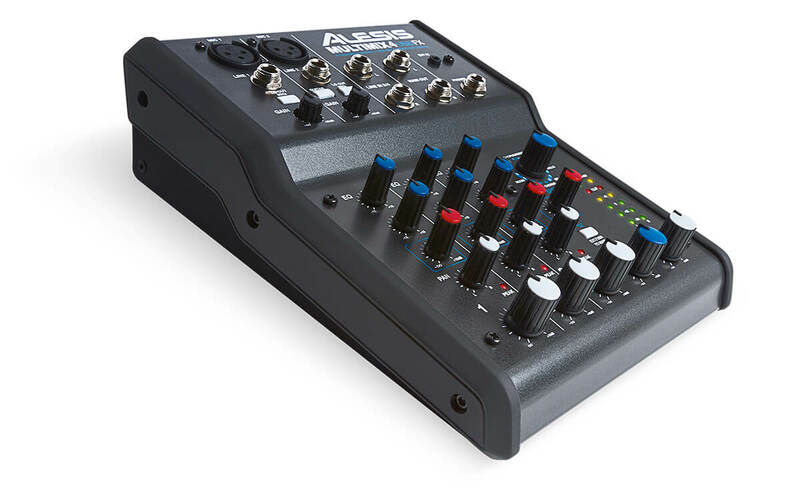 You can plug XLR microphones into channels one and two, including condensers thanks to the selectable 48V-phantom power supply. 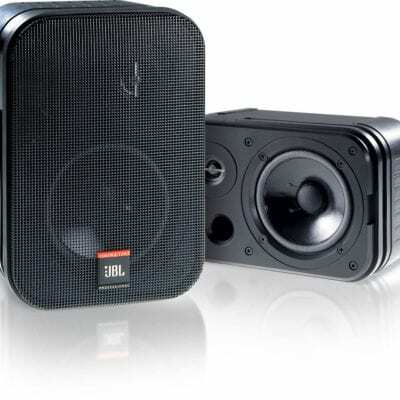 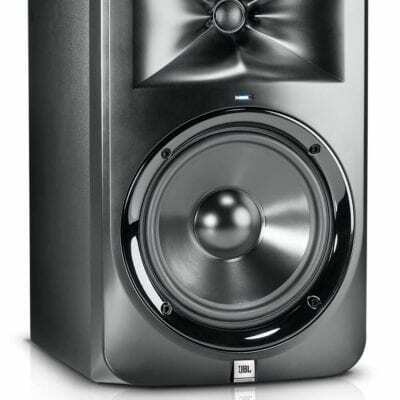 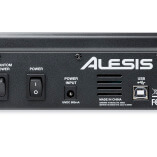 You can also plug a guitar or bass directly into channel one’s switchable high-impedance input. 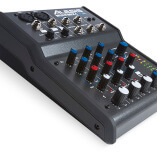 A stereo, 1/4″ headphone output has its own level control for private monitoring. 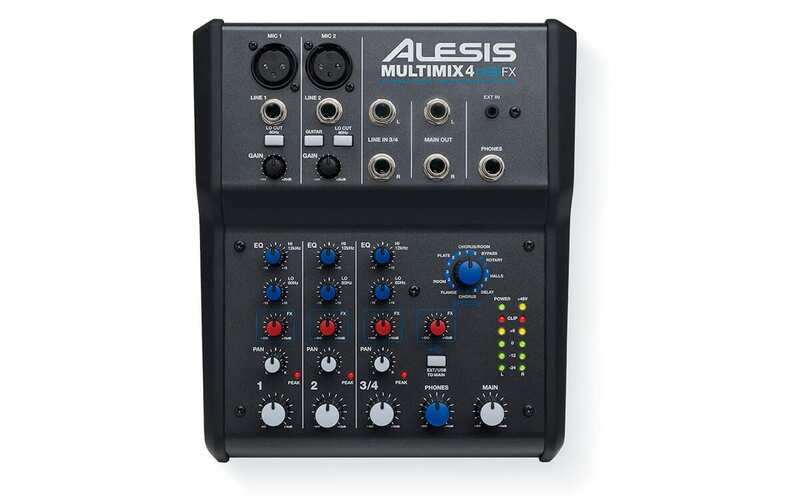 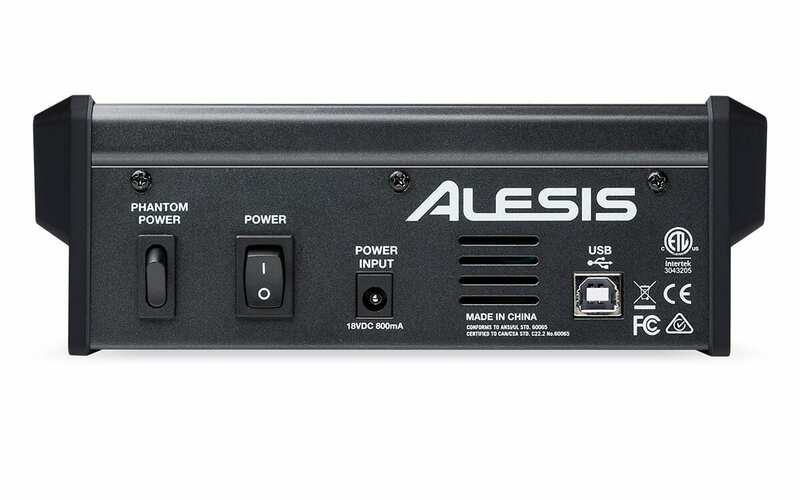 MultiMix 4 USB FX comes with high-quality Alesis DSP effects that include spacious reverbs, delays, phasers, and much more. 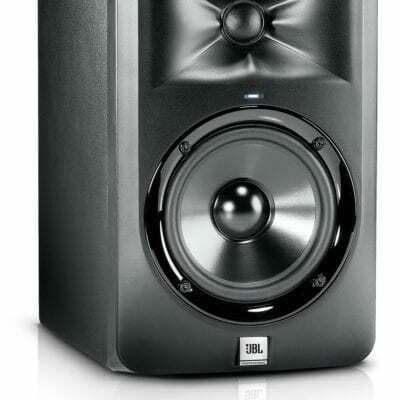 For lush mixes, the internal effects processors enables you to add extra depth to live sound–say, a long delay on the vocalist’s channel–or beef up dry recordings with some extra ambiance. 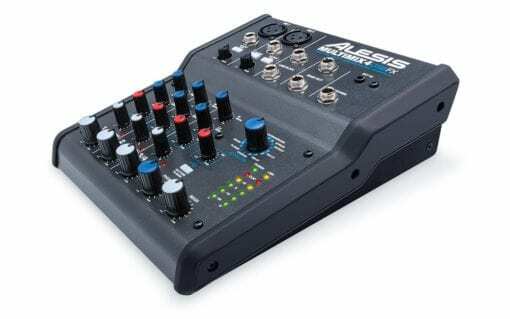 Now, you can use professional audio effects with your mixer whether you’re out mixing the live gig or at home recording at your desktop.